Today we have 4 deals coming your way. Deals may go fast and will either sell our or will go until the timer reaches zero, after which the next hunting deal will arrive. Get ready to pull the trigger! The Rocky Broadhead Pant will keep you warm and comfortable while you wait for the perfect shot on a once in a lifetime trophy. 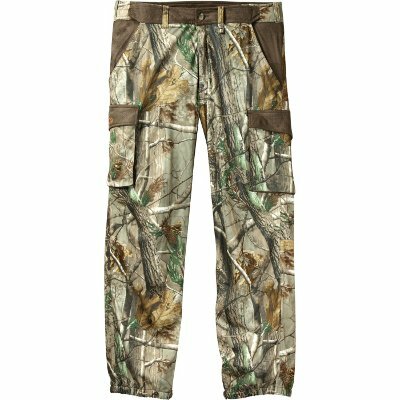 This soft shell pant features HydroShed water repellent that is quiet and comfortable while shedding water. Inseam vents will keep you cool while hiking to and from your hunting destination. To control human odor on the microbial level the Broadhead Pant features Rocky’s SIQ Atomic technology. Two front pockets, button cargo with zipper behind, and a rear pocket with a zipper keep even the smallest items at easy reach while wanting to keep movement to the minimum. A comfort stretch waistband and elastic and snap cuffs will keep you comfortable all day. The Broadhead Pants SilentHunter suede fabric will wick moisture and keep you warm. 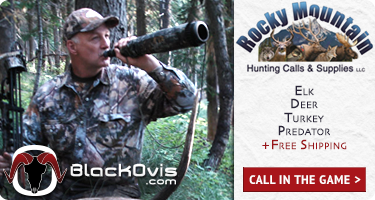 For any hunting trip the Rocky Broadhead Pant is a must. Got something to say about the ROCKY BROADHEAD CARGO PANT? Speak your mind by commenting below. Is the inseam on these pants actually 34″ for size large. I had a pair of the silent hunter pants from rocky and loved them but the inseam was more like a 32 so I was always pulling them down to cover my boots and avoid getting debris in them. Got to be too much of a pain so I sold them. Absolutely the quietest pant I have ever owned or tried on and very nice and stretchy. Easy pocket access. Will there be any core4element pants coming up? I bought a couple of C4E Pivot long sleeve tops in medium and they were too small despite getting a decent fit with some of the other C4E tops in medium. Does anyone know if there’s a big difference between the mediums and the larges in the Pivot? I asked to exchange for larges, but wondering if they’ll be too big. I often need a large depending on how sizes run. I’m 5’10”, 160 lbs and about 42″ chest. How did you know they’d be available?